Toptal is proud to sponsor DrupalCamp Krasnodar 2016, an annual event for professionals in the field of web technologies and site development. The main goal of the conference is to provide opportunities for productive communication, the exchange of experiences, a job/personnel search, the generation of new ideas, and Drupal community development. The main areas of focus for the Camp are Drupal 8, development, high-load projects, developer tools (DevOps), design and front-end, business case studies, and solutions. The conference will also include training sessions for beginners. 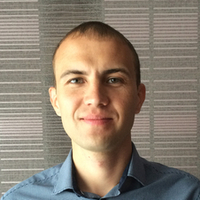 One of the speakers will be Konstantin Komelin, a Toptal developer. Konstanin is a professional software engineer with extensive experience in the development of complex web applications for clients from all over the world. His personal focus is on the PHP stack with Drupal, MVC frameworks, and responsive design. He is also an active Drupal community member. The event will take place from September 9th until September 11th at Kuban State University. For more information on the event, please contact Konstantin or visit the website. Your message to Konstantin was sent.